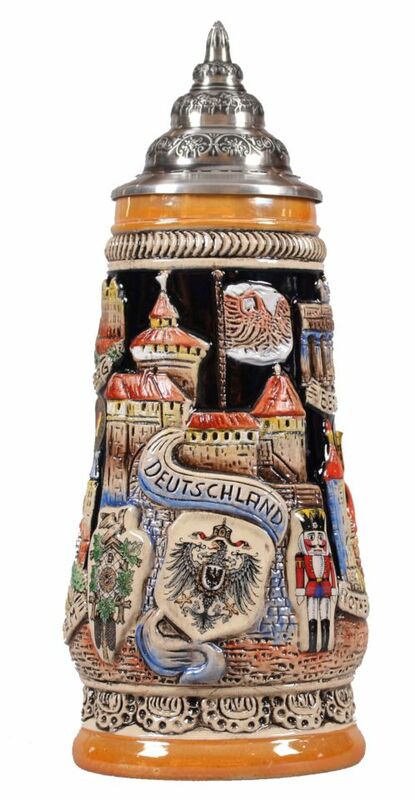 Handpainted 0,5 liter German Panorama Beerstein with solid pewter lid. KING WORKS are situated in the Westerwald (Western Forest) of Germany, near the Rhine and Koblenz (the ancient Roman town of Confluentia) as well as the famous Limes (the fortified Roman border). In the very first centuries after Christ, you will perhaps find the oldest roots of potters' tradition in the area.